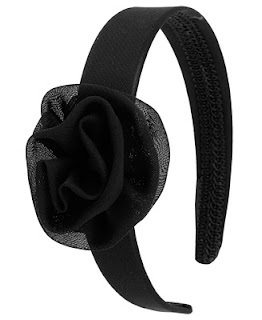 I love the peacock feather headband! the 2nd one or using silk flowers will be really pretty too. love the look.. don't know if i can pull it off though.. hmm. 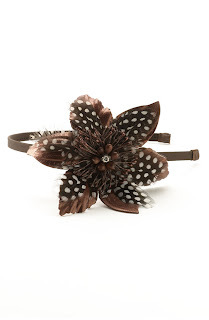 Love the Nordstrom Tasha Feather Flower Headband ! I dig her style, even though I was NOT into the leaves on her hair during the Bryant Park show. I've been meaning to make myself a feather headband but haven't gotten around to it yet. Hmm perhaps I should get on that. Ah yes, I do not like her though. But love the outfits she wore on PR! 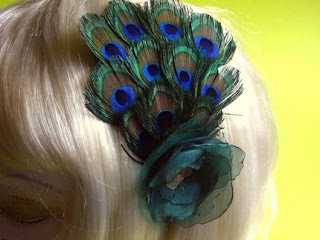 oooo that peacock feather head band is ga-gah gorgeous!!!!! rawr!! !